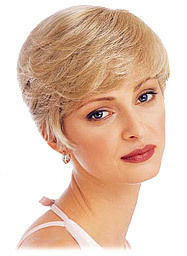 A stylish selection of short hair length wigs from Rene of Paris, Wig Pro and Louis Ferre, in both synthetic and human hair. 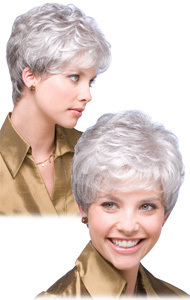 Some wigs also offer monofilament cap construction, Remy Human Hair, a hand-tied cap and other special features. Get an exciting new look today! The perfect short style ... a very lightweight, semi-straight cut that tapers to a smooth nape. 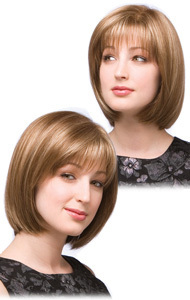 This wig features Monofilament Plus, a fine base material with sensitive skin guard and tape tabs. Overall point-cut layers combine to make a bold statement in this short, edgy cut. You'll be ready and out the door in minutes! 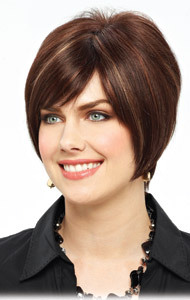 Tapered bob with feathered bangs and boosted volume at crown. Features Monofilament Plus, a fine base material with sensitive skin guard and tape tabs. 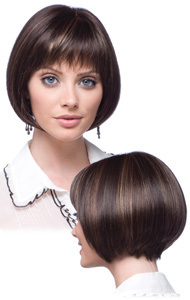 This classic layered boy cut offers added length at the crown to increase volume and present a stylish outline. Also available in Human Hair and Petite. 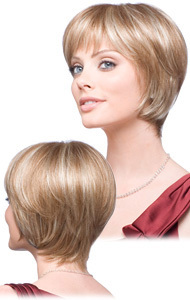 This classic, wavy shag offers the confident look of a career woman in action. An instant winner. 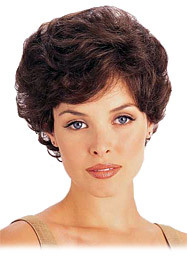 A face framing bob with tousled curl in the crown. 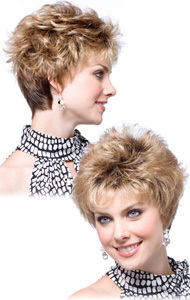 Flattering wave movement presents a style which is very feminine yet practical to maintain. A sleek and smooth bob, achieved using razor cuts for a sharper, more distinctive edge. Transformational bob with beveled fullness throughout nape and sides. Features Monofilament Plus, a fine base material with sensitive skin guard and tape tabs.